If you have an older home in Austin, you may have a ticking time bomb under your slab in the form of cast iron sewer pipe. All cast iron sewer pipe will need to be completely replaced before your house turns 50 years old. If your house was built 1950-1969, it's already time to replace before your house is flooded with sewage! Houses built in the 1970s will need complete replacement in the next 10 years. Why? Cast iron sewer pipes only last 50 years before they deteriorate beyond repair and start leaking raw sewage into your yard or living room. If you have an older house in Austin, call us to come out and do an inspection. We'll let you know if you can wait a few years, or if the pipes are already starting to leak sewage into your yard or house. Why completely replace, not just repair the pipe as needed? Each repair causes the cast iron on either side of the break to turn into TWO new leaks later, as the weakened metal deteriorates from repeatedly coming into contact with the sewage running through it. The thousands you spend for fixes will be only stopgaps, and will actually make the situation worse. You'll end up paying over and over for fixes, until you finally have to completely replace the system anyway. Save money and get out ahead of the problem by replacing all of your cast iron sewer pipes at once, before it turns 50 years old. 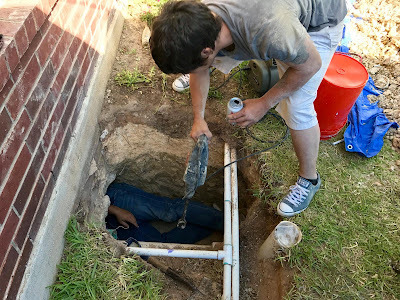 Should I Try Trenchless Pipe Relining for Cast Iron Sewer Pipes? NO. Too many things can go wrong with the process, and you could end up spending just as much money, or more, as a total replacement. In order to line your pipes with epoxy, installers must first clean and prepare the insides of your cast iron sewer pipes, including fixing any cracks, leaks or visible signs of corrosion, to ensure the epoxy has a smooth surface to adhere to. 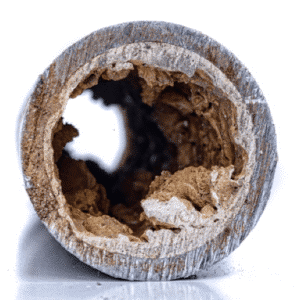 The sanding and cleaning process is very stressful for already decayed sewer pipes and sections can rupture and further erode, leading to more fixes needed before epoxy can even be applied. At best, these “blow-outs” require cutting holes and replacing sections of pipe before they can be lined. 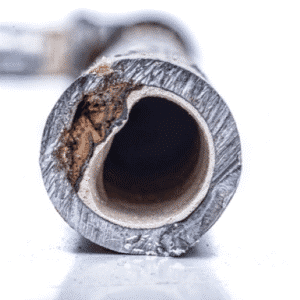 In worst-case scenarios, you'll need to stop the relining process and get a total replacement anyway, if your pipes are too far gone to be lined. If the sanding/cleaning and pipe prep process is not done exactly right, corrosion can return and grow under the epoxy (between the lining and the pipe wall) pushing the epoxy back into the pipe, decreasing the diameter of the pipe and leading to restricted flow. Epoxy-lined pipes are not inspected by any governmental or third party agency. Unlike a total replacement that is inspected to adhere to Texas state plumbing code, there's no way to check the quality of the installation and buyers must simply trust that the specific technician the company sent had the skill to clean, repair and install the epoxy in their pipes properly, which has not been our experience when our licensed plumbers have had to come behind these techs to re-pipe what they could not fix. 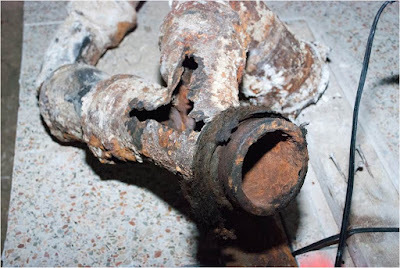 Exterior pipe corrosion will not be solved by ANY available lining solution. 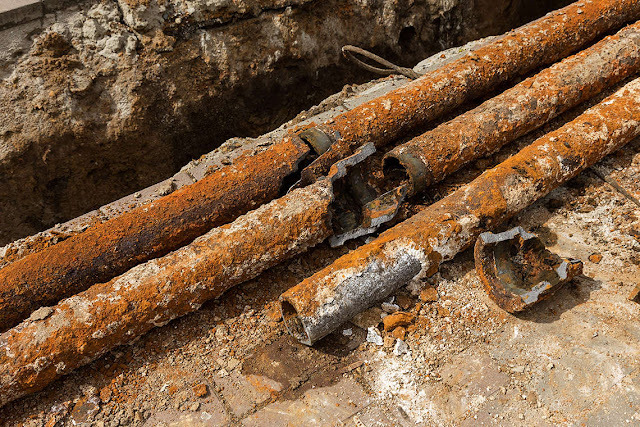 Your cast iron sewer pipes must be totally replaced. Anything else is just a band-aid. Luckily for you, The Plumbinator Round Rock plumbers are experts in cast iron sewer replacement! 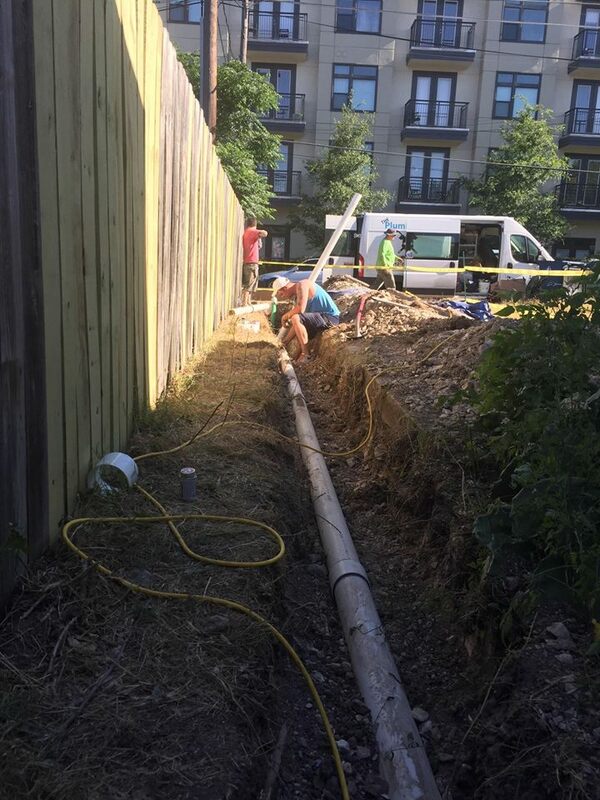 We partner with the best excavators in Austin who will quickly tunnel under the house, with minimal damage to your floors, and then we'll expertly replace your whole sewer system. Call 512-786-1771 for a camera inspection and an estimate or click here.